Moose Knuckles Debbie Bomber Jacket in Red: Super stylish and warm the Debbie Bomber from the coolest new label in outerwear Moose Knuckles comes in a hot red with black fur trim. 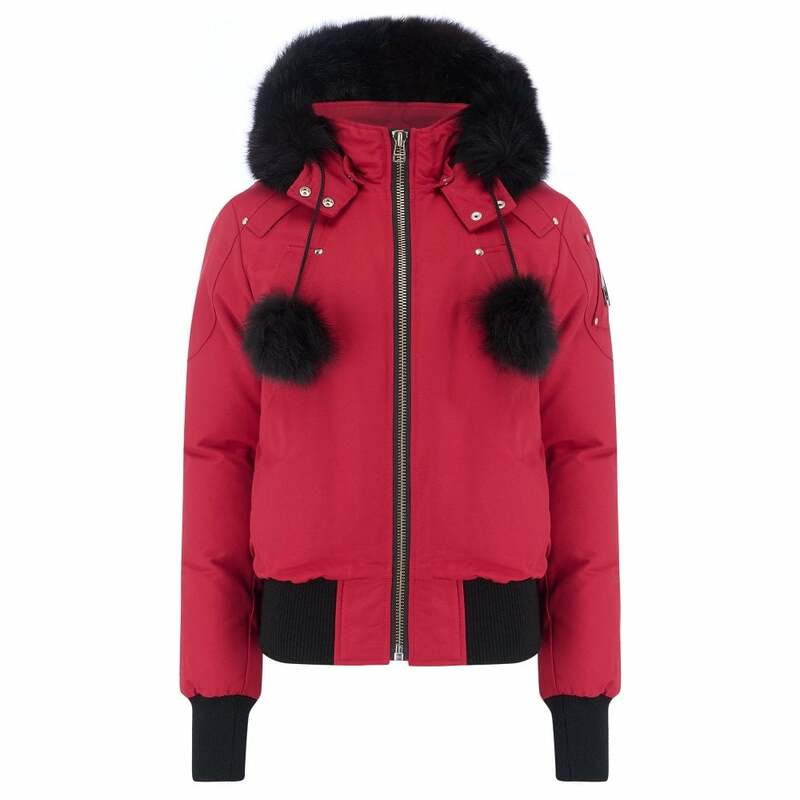 The hood is detachable and features a draw cord pull with pom pom fut trim, the front metal zip fastening is strong and sturdy and the Debbie bomber has a black elasticated hem and cuffs. The Moose Knuckles brand's metal logo is on the sleeve and the jackets features metal hard wear. Waterproof with a 80/20 down fill this jacket is made by Canadians for extreme temperatures.